Combining great taste, super powerful effect and high production levels, the Gelato variety should be in every grower's garden without a doubt. 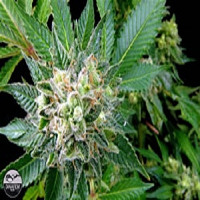 Gelato Feminized Cannabis Seeds by BlimBurn Seeds: Combining great taste, super powerful effect and high production levels, the Gelato variety should be in every grower's garden without a doubt. Because of its extra sweet taste and smell, Gelato is not suitable for diabetics. On one side, Gelato descends from the famous Thin Mint, a phenotype of the mythical Girl Scout Cookies strain; on the other side it has all the genes of the Sunset Sherbert. 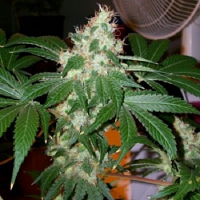 Thanks to these genetics, Gelato buds combine berry flavors with mentholy and citric undertones, as well as intense, candy-sweet floral aromas. 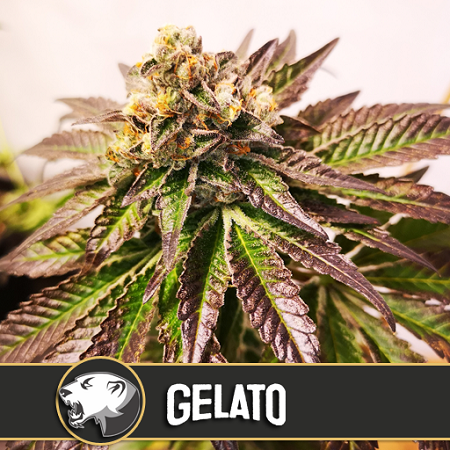 Gelato's high is clear and relaxing at first, and then creative and uplifting, allowing for both daily and nightly consumption. Some Gelato samples contain up to 27% THC, so we do not recommend this variety to beginner smokers.